Philip Reeve’s Mortal Engines is the first book in a series of novels set in a dystopian future when Earth has been denuded of its resources and cities like London wander the landscape on enormous treads consuming everything in their path. 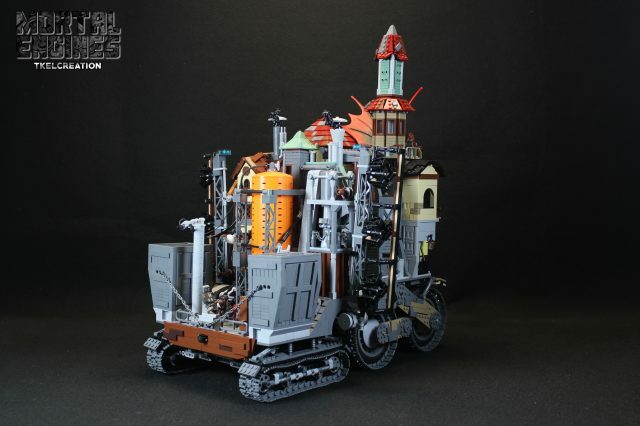 The steampunk novels have inspired numerous LEGO builders over the years, with the Traction City / Crawler Town collaboration displayed at BrickCon among the best. 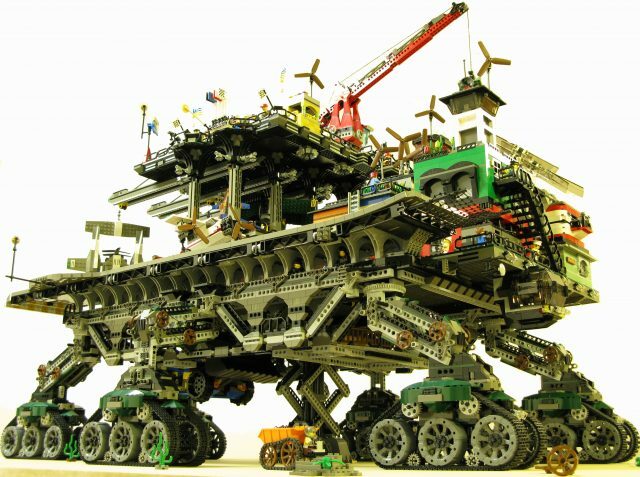 Alexis Dos Santos joins the ranks of the best LEGO crawler builders with this stunning recreation of Salthook, a mining town that appears at the beginning of the first book and features prominently in the trailer for the upcoming Peter Jackson movie. The treads are fully functional, and Salthook can be steered with a Power Functions remote control. There’s so much detail in this wonderful LEGO creation — let’s take a closer look. Crawler Town brings the city to you! Canadian builder Dave DeGobbi has created a massive, steampunk-inspired creation that takes a small city and puts it on a mobile platform! The idea is crazy enough to work both in concept and execution. This creation is supposedly a luxury resort set in a post-apocalyptic world. What wouldn’t I pay for a trip to this exotic paradise?